With Scriptcase you can perform the upload of multiple images in a form by dragging the images you want to the upload area and wait for the loading time progress bar. Avoid hours of programming by using this features. 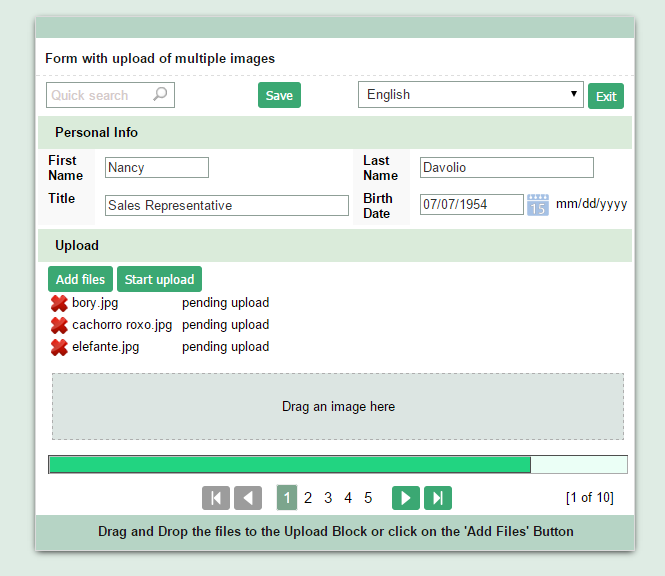 In this example will develop a form of type “Single record” where we can view the multiple file upload feature. 1. 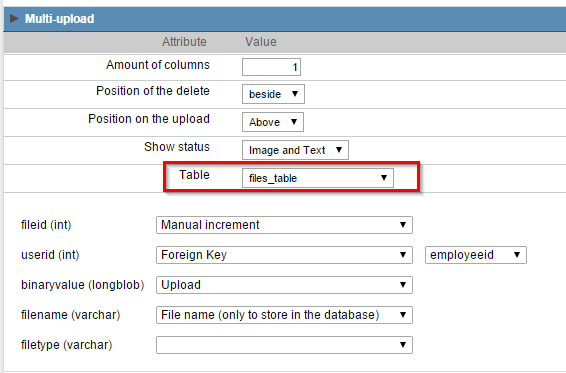 Create a new application form type (single record) based on the table Employees . 3. The field will be of type “Image (database)” and will name it “picture”. 4. In the application menu go to the field settings “picture”. 5. In the “Multi-upload” use the settings according to the image below. 6. Click on the Run button .